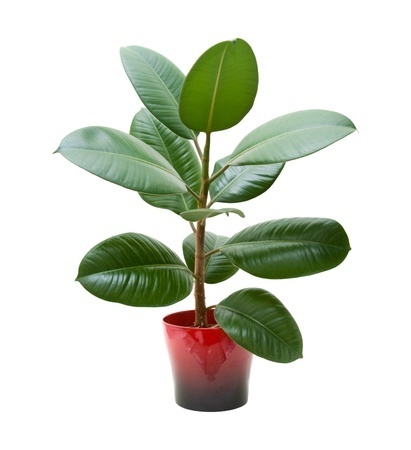 The Rubber Plant (Ficus elastica) is among the oldest plants used as indoor houseplants around the world. It is native to India and Malaysia and is called the India Rubber Plant, as it produces latex which is used to make rubber. This attractive plant with its bold, deep green, shiny leaves may be pruned back to control growth or allowed to grow tall in tree form. You can keep your plant beautiful and attractive by pinching it back. This encourages branching which makes the plant fuller. In addition, wipe the leaves off with a damp cotton cloth every 2 weeks. This removes dust and provides needed moisture to keep the foliage shiny and healthy. 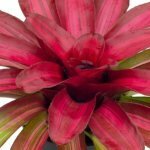 For decorative purposes, this plant is a great choice for rooms with tall windows and high ceilings. With proper care, this plant can easily grow up to 10 feet tall or more. Lighting: It prefers bright, indirect light that isn’t too hot. You can achieve this by putting sheer curtains over the window. This allows plenty of light to maintain better foliage, as the lower leaves tend to drop and become leggy when kept in lowlight. Rubber trees enjoy a summer outside and does well in a shady location. Watering: Water plant thoroughly and let soil drain and discard excess water. keep soil lightly moist during the growing season. During the dormant season when the plant is resting, it may only need watering once or twice a month. Allow the top 2 inches of the soil or growing mix to dry out between waterings. Carefully monitor your plant and adjust your schedule depending on how quickly the soil dries out. If the leaves start droop, gradually increase the water until the leaves perk back up. Be careful not to overwater as symptoms of over-watering and under-watering are similar; for example, leaf yellowing and leaves that fall off. and keep away from cold and drafts in winter to avoid leaf drop. Humidity: Average room humidity is fine; however, plants moved from the outside back indoors may encounter stress. 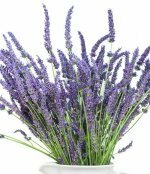 You can ease this transition by placing the plant on a humidity try or misting it lightly every other day. This helps to emulate the plant's natural environment. Potting Mix: The soil should have good drainage to allow excess water to pass through. This is necessary to prevent root rot. Most any sterilized potting soil will be can be used with some added sandy soils mixed in along with some organics are ideal. **soil designed for cacti, as the high drainage is necessary. Fertilizer: Light fertilization is best once a month with a water soluble fertilizer, or you can apply a slow release fertilizer at the beginning of the growing season. you should only need to do this once a year. Propagation: You can produce more plants by air layering or you can take a small branch from a healthy tree and put it in good potting soil or water and let it root. This is the simplest form of propagation. Transplant the rubber plant into a new pot once every 2 to 3 years. Always choose a new planter that is several inches larger in diameter than the previous. One thing to remember is to keep away from children and pets as the plant oozes out latex substance whenever pruned or the branches are broken. Latex may be irritating to the mouth and skin.